food — Page 2 — Writing… or Typing? 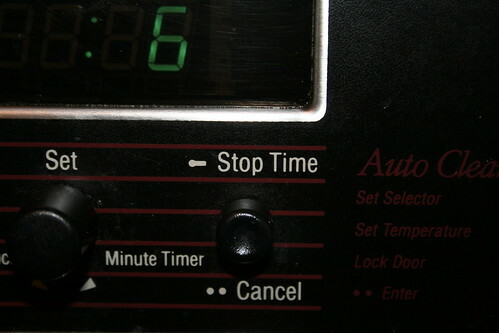 Who knew my oven timer was so powerful? …and why doesn’t it work like my TiVo remote? Wouldn’t that be cool? "Go eight seconds back in time." If I had that button the other day, I might have saved myself the horrendous cleanup of flour mixed with oily, yeasty water when the beginnings of a pizza crust dough went horribly wrong all over the kitchen counter. I blame Jamie Oliver for making that flour-well thing look so easy.